Or should I say King-finished? I am absolutely pleased with how he turned out. If you were to compare him to the picture on the kit you would see a few differences, (some due to my errors in transferring the design, some due to the learning curve as I stitched him, and some just because different people will stitch differently,) but nonetheless, I’ll be proud to hang him on a wall somewhere. There were a lot of them! 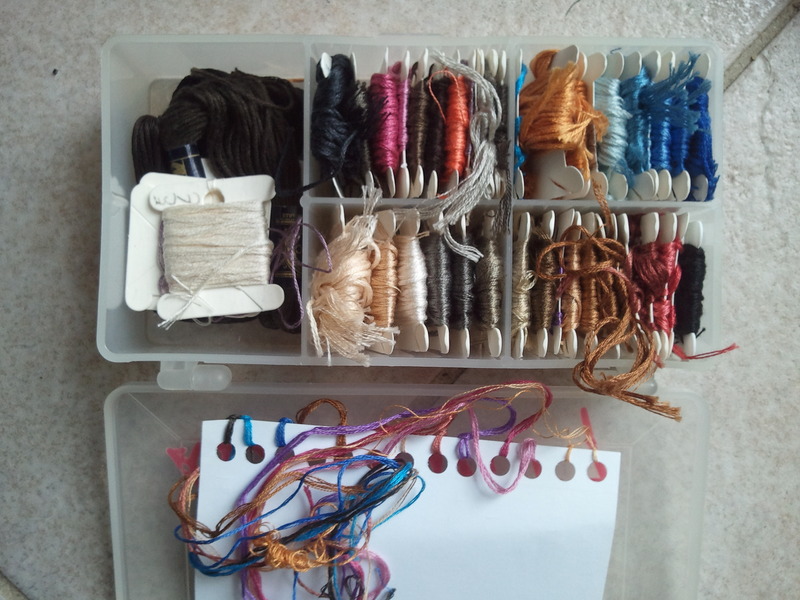 Before I started stitching, I pulled them into a project box. It made it easier to find them when I needed them. 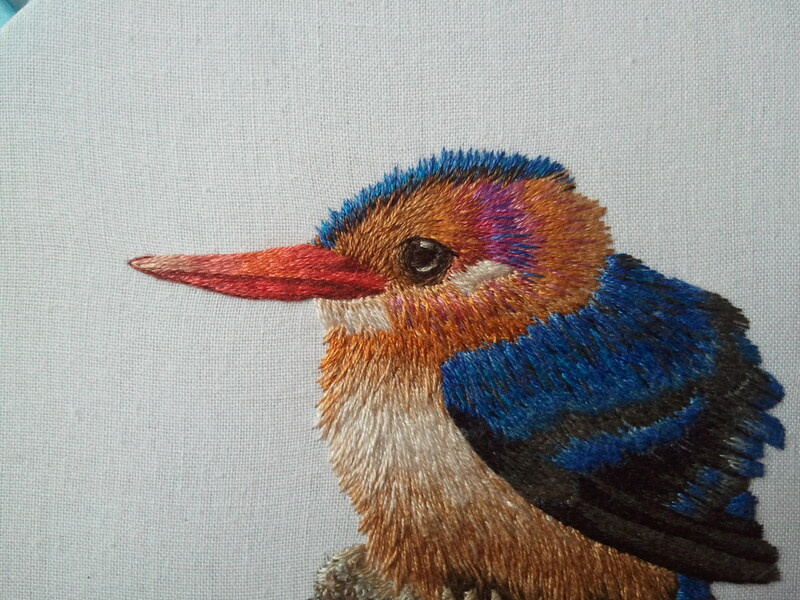 I was a little skeptical looking at all these colors for this one little bird before I started, but no more. Without so many you wouldn’t get the beautiful blended effect. Having done the kit, I would recommend it without reservations. The instructions and photos were very clear. It’s available as a digital download, which put it within my budget. Trish Burr’s shop has both kits and downloads, and this one is here should you wish to try it yourself. 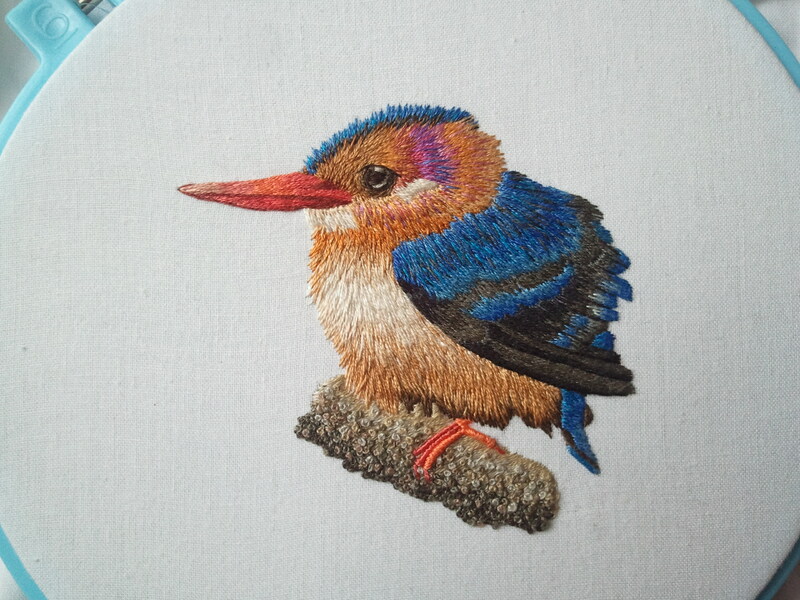 This entry was posted in Other people's designs and tagged embroidery, finished work, fluff, kingfisher, needlepainting, surface embroidery, trish burr by Rene. Bookmark the permalink. So tiny and beautiful! Gorgeous. You did great work on it.